"Quarterback Cam Newton #1 of the Carolina Panthers runs through the tunnel before playing the Seattle Seahawks in the NFC Divisional Playoff Game at Bank of America Stadium on January 17, 2016 in Charlotte, North Carolina." Every stadium is different. And no team is the same. But there is always one thing a photographer wishes they could take back to their home town team after visiting a new stadium venue. Documenting the Seattle Seahawks take on the Carolina Panthers in the NFC Divisional Playoffs was exciting and everything was fresh to my eyes. Thankfully our team at Getty Images knew the logistics and of how the show is run in Carolina making our approach powerful. 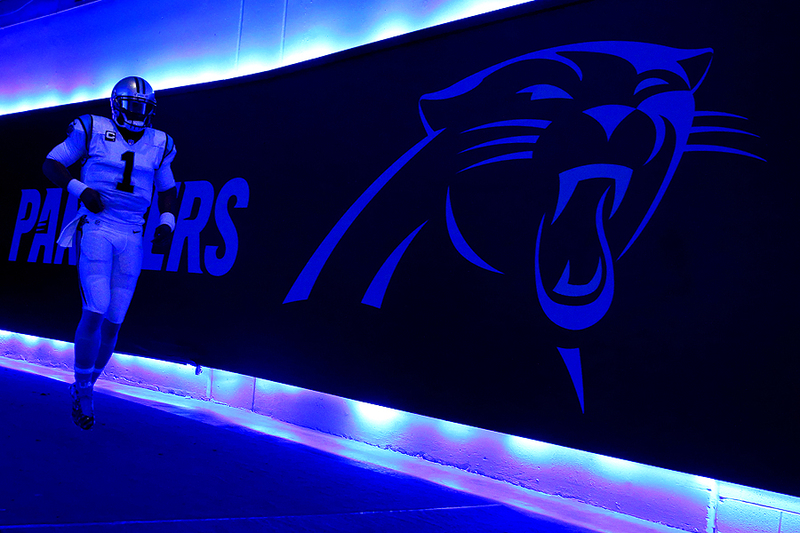 One of the coolest things was getting access to the pregame tunnel for the Panthers. Lights, fog and energy. A rare glimpse behind the scenes for all photographers to see. In most stadiums, this is forbidden and cut off to photographers. I loved how they made this portion of the game just as energetic as the game itself. If only all stadiums were so open to photographers pregame.